From agriculture’s night of nights at the MCG in Melbourne, to an intimate billabong dinner cooked by beloved TV chef and SunRice brand ambassador Poh Ling Yeow, Sauce’s events team has been flat out! Kicking off in March with the International Temperate Rice Conference, our team seamlessly delivered a four-day conference, complete with farm and field experiences (pictured right) and an exciting social program, in the heart of the Riverina’s rice growing region in Griffith. Close to 250 delegates from 11 different countries, including Australia, Italy, Uruguay, Argentina, Spain, Japan, Africa, Turkey, Indonesia, China and the US, attended the event, designed to showcase the latest in temperate rice research, technology and innovation. A key takeaway from the conference was the importance of collaboration, a theme strongly reflected in the efforts of the whole Sauce team and the fantastic working group who helped bring this event to life. We were privileged to partner with the Rural Industries Research and Development Corporation (RIRDC) on this important initiative for the Australian rice industry. Following this, April saw our events team help facilitate a SunRice media famil, taking key journalists from Women’s Weekly, Food to Love, Taste.com.au and Two Girls One Fork on a two-day tour through the Riverina. 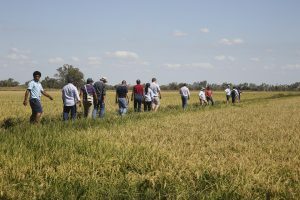 Starting in Griffith, they travelled to Gogeldrie Rice Storage Facilities, to Leeton Mill and across to Rice Research Australia Pty Ltd (RRAPL) headquarters in Jerilderie, highlighting the paddock to plate journey. 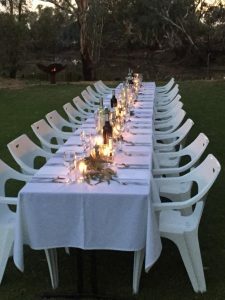 TV chef and SunRice brand ambassador Poh Ling Yeow joined participants along the way, whipping up a delicious gourmet meal at RRAPL for a scenic dinner out by the billabong (pictured left) – enough to make anyone say ‘Ah, the serenity’. 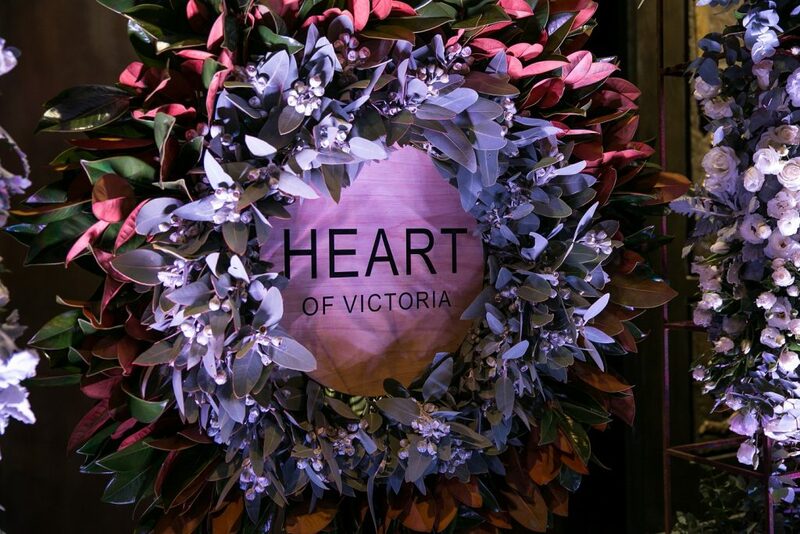 From an intimate gathering to a full-scale gala dinner, our events team’s next mission was the Victorian agriculture industry’s night of nights – the annual Agriculture: The Heart of Victoria Gala Dinner on 11 May (pictured right). An initiative of the Victorian Farmers’ Federation (VFF) and The Royal Agricultural Society of Victoria (RASV), this event saw our team manage a bespoke four-course dining experience featuring the finest Victorian produce for close to 450 guests at the Melbourne Cricket Ground Member’s Dining Room. Clint Stanaway, Channel 9 Sports Presenter, entertained the crowd as MC for the evening, while Simone Kain, author and co-creator of George the Farmer, delighted as guest speaker. This is the third year running that we have been involved in the Heart of Victoria Gala Dinner, and we look forward to maintaining this relationship with VFF and RASV for years to come. With six more major events lined up for remainder of the year, things won’t be slowing down for our events team anytime soon – but that’s just the way we like it!